Kentucky continues to go global. 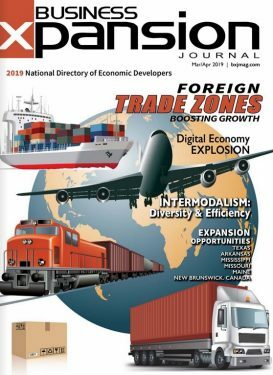 Erik Dunnigan, commissioner of the business development department for the Kentucky Cabinet for Economic Development, says Kentucky’s officials are actively supporting existing businesses in promoting the state’s business climate advantages to international markets. Part of the strategy includes capitalizing on the brand recognition that the state has through its iconic brands. “A lot of states don’t have the iconic brands that we do that get recognition in markets like Japan and Germany and other places,” Dunnigan says, referring to products such as Kentucky bourbon. “We have really made a concentrated effort from the top down starting with Gov. Steve Beshear to get very involved in trying to go out and pursue global opportunities.” As a result, investments into Kentucky are on the rise, as well as the addition of jobs. Another brand that is recognized around the world is Toyota, which is now in its 27th year of manufacturing from the state. Georgetown is home to the company’s largest manufacturing plant outside of Japan. Bowling Green is home to the assembly plant for the Chevrolet Corvette, another world-recognized iconic brand. Wayne County Judge-Executive Greg Rankin says the county is known as the houseboat manufacturing capital of the world. The county, located in south central Kentucky, is home to three houseboat manufacturers clustered around the 66,000-acre Lake Cumberland reservoir. In a unique partnership, industry stakeholders and the University of Kentucky are developing energy-efficient homes that can be assembled on site from modular components. A regional venture capital firm and the University of Kentucky School of Architecture worked together to develop the Houseboat to Energy Efficient Residences program, a creative way to address the need for improved energy-efficient housing, the utilization of an equipped manufacturing plant, and putting a skilled and ready workforce back to work. Architecture students created prototypes for energy-efficient houseboats, which assisted one business in increasing employment from 12 employees to 56 employees. The project has the potential to add 575 skilled houseboat builders and 1,000 related jobs to the region. In Winchester County, located in the center of the state, Amazon.com is in the process of building a $20 million, 70,000-square-foot technical support and customer service center that will employ 550 full-time staff, and 600 part time and seasonal employees. Todd Denham, executive director, Winchester and Clark County Industrial Development Authority, says the project is the largest the county has seen in some time. One of the key expansions in Oldham County, located in north central Kentucky, was the Carriage House Co. Inc. in LaGrange, a food manufacturer that is the largest supplier of brand product preserves and jellies, peanut butter, table syrups and barbecue sauce; and is the leading producer of private label products such as mayonnaise, pasta sauces and pourable dressings. The business employs nearly 280 people and will conduct two separate expansions, adding a product line for peanut butter with a 90,000-square-foot facility, which is expected to be operational this spring. The other project is a 500,000-square-foot distribution operation. The projects combined represent a $100 million investment in Oldham County. “This is the second biggest project that Kentucky did in 2012,” says Deana Epperly-Karem, executive director, Oldham County Chamber and Economic Development. As a state with so much high-tech manufacturing, Dunnigan says that Kentucky, like other states, is faced with a perfect storm of sorts: “How do you match the educational demands today with the workforce demands of tomorrow?” he asks. State officials are developing the best ways to create a pipeline of workers who can sustain the automotive industry, logistics, and health care industries of tomorrow. In Muhlenberg County, located in the west central part of the state, officials are improving the area’s workforce through initiatives such as the Work Ready Community program, engaging both the adult and student populations in the community to enhance their skill sets, says Ken Robinson, president and CEO, Muhlenberg County Alliance for Progress. The Work Ready Community certification program, run by the Kentucky Workforce Investment Board and the Kentucky Education and Workforce Development Cabinet, assures employers that a local workforce has the talent and skills necessary to staff existing jobs and to master the innovative technologies new jobs will require. “We want to improve our soft skills, which is what employers are really clamoring for,” Robinson says. “Then through investing upwards of $11 million in a new tech school, enhance the student skills coming out of high school and making them basically business and work ready.” The tech school is an expansion of the Muhlenberg County high school’s west campus, and was approved last June. At the state level, Kentucky features 16 community and technical colleges, which are located on 68 campuses across the state. The system allows students to navigate between colleges easily. Many courses are offered at night and online. The state is also home to eight public universities. The University of Kentucky and the University of Louisville partnered with the U.S. Department of Energy’s Argonne National Laboratory to establish a national battery manufacturing R&D center. The center is located in Lexington, where researchers explore applications for advanced automotive batteries. The center reaches out to industry, other universities and federal labs to conduct research. Kentucky’s location is an asset in and of itself, centrally located near large eastern and Midwestern markets. The state is within 600 miles of 60 percent of the nation’s population, personal income and manufacturing businesses. One of the leading logistics-related assets is the UPS Worldport located in Louisville, which is the worldwide air hub for UPS. It serves global destinations to more than 200 nations and territories. What’s more, DHL has an air hub and sorting facility located at the Cincinnati/Northern Kentucky International Airport. The company announced a $47 million, 193,000-square-foot expansion in mid-2012. Dunnigan says the presence of UPS and DHL provides the state’s businesses access to a variety of global markets. What’s more, Epperly-Karem says even though the county is located 20 minutes from the hustle and bustle of a large metropolitan area, there is a rural lifestyle in the county, home to a strong thoroughbred horse industry. According to www.thinkkentucky.com, Kentucky is a state of stable, multi-generational families, safe neighborhoods and civic pride in planned multi-use developments. Farms and open pastures still add rural flavor between the two big cities of Louisville and Lexington. Kentucky also offers one of the nation’s lowest cost of living and housing costs, up to 30 percent lower than the national average. The Incentives for the New Kentucky legislation, in June 2009, created the Kentucky Small Business Investment Credit program, the first tax credit program of its kind for small businesses in Kentucky. Kentucky is served by 14 interstates and major highways, major rail networks, barge traffic on the Ohio and Mississippi rivers, three major airports and dozens of regional airports. According to a 2012 Tax Foundation study, Kentucky ranks as the seventh most business-friendly state in the country for new firms and is the sixth lowest tax cost state for new corporate headquarters. Kentucky is a mecca for bluegrass music lovers. There are 25 bluegrass festivals scheduled this year, including the Festival of the Bluegrass in Lexington in June; the ROMP bluegrass music festival in Owensboro, also in June; the Lake Cumberland Bluegrass festival in Henderson in August; and the Newgrass Festival in Bowling Green in October.